The Pediatric Surgery Fellowship for Physician Assistants is the first of its kind in the country to offer a 12-month didactic and clinical pediatric training program to physician assistants. Our fellowship ensures a unique opportunity to gain hands-on experience in a full spectrum of pediatric surgical subspecialties, and to become a leader in all areas of pediatric surgery. Surgical subspecialties include: congenital heart surgery, general pediatric surgery, neurosurgery, ophthalmology, orthopaedic surgery, otolaryngology, plastic and reconstructive surgery, trauma, urology, and an innovative new addition, surgical hospitalist. The one-year program includes 10 months of clinical pediatric surgical subspecialty experience and one month of basic laboratory research. Each participating fellow then elects one surgical division to focus on during the final month of the program. Training will be provided in clinics, on the surgical floors and in the operating room and will involve pre-, intra- and post-operative care. The program is led by Dr. Larry Hollier, chief of plastic surgery, Ryan Krasnosky, PA-C, fellowship program director and director of surgical advanced practice providers, Kristen Daniels, PA-C, academic program director and Jenna Solice, project manager. 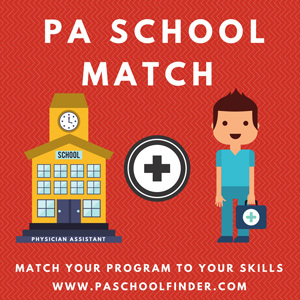 • Graduated from a PA Program approved by the Accreditation Review Commission on Education for the Physician Assistant (ARC-PA) prior to matriculation into the program. • Masters of Physician Assistant Studies. • National Certification by the NCCPA. New graduates may receive acceptance into the program, pending successful completion of the PANCE. • Personal statement that focuses on your interest in the program and overall career goals. • One professional recommendation letter.